The Radial JPC is an analogue stereo interface designed to help solve the buzz and hum problems commonly associated with connecting a computer to an audio system. This is accomplished by combining active buffers and transformer isolation to create an effective 'hybrid' circuit. 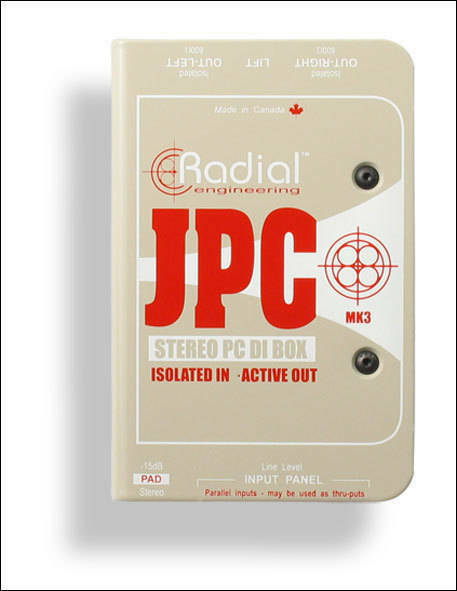 Intended for professional field use, the JPC comes fully loaded with choice of ", RCA and 3.5mm input connectors that make it easy to interface with all types of unbalanced audio sources such as computers, iPods, and CD players. It is equipped with isolation transformers to eliminate hum and buzz caused by ground loops and to further reduce system noise; while AC blocking capacitors in the active circuit prevent pollution from the audio system from bleeding back into the computer. 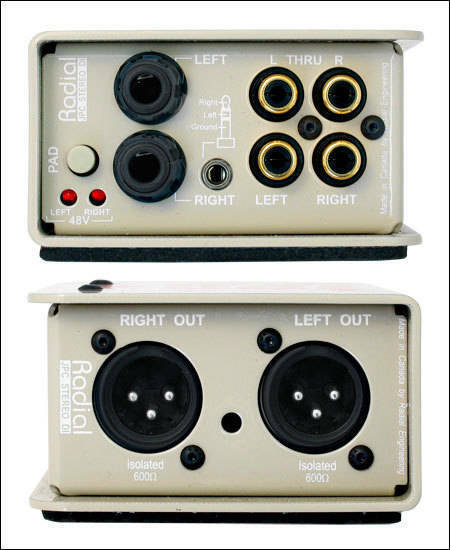 Outputs are XLR balanced mic level for easy interface to snake systems and PAs. 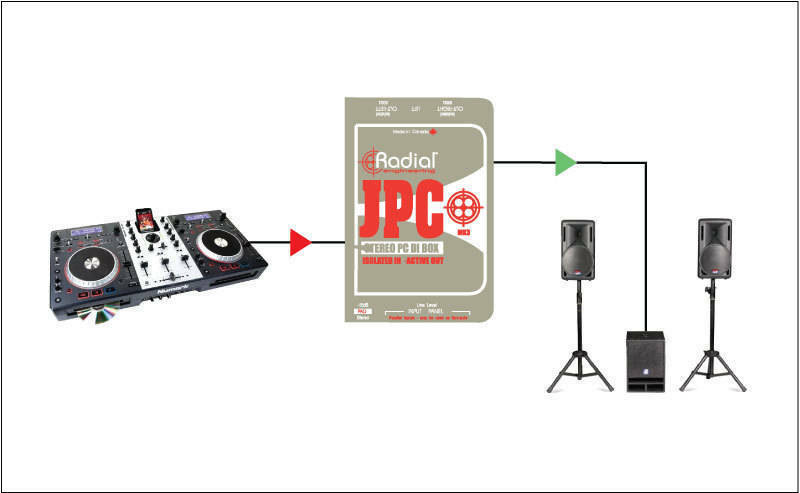 Powering the JPC is accomplished via 48V phantom from a mixing console. 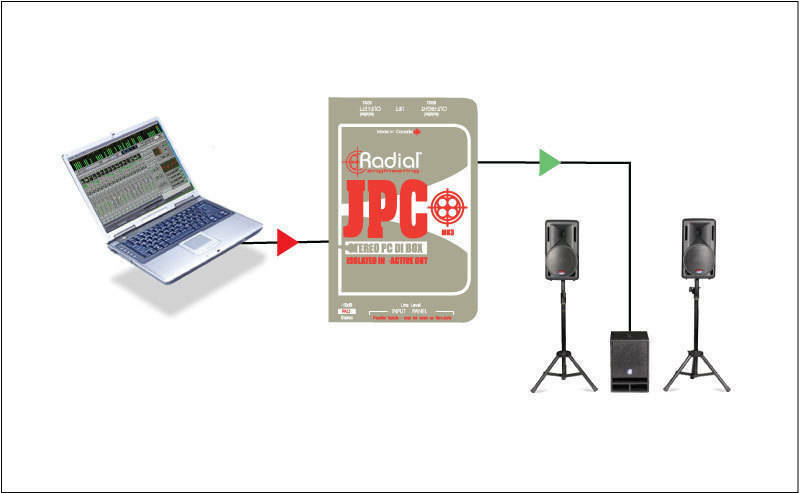 This enables the JPC to be used in concert environments without requiring an external power supply.